Hang Seng's newest initiatives include an AI chatbot, an online business account opening platform and trade finance blockchain platform. With new apps and other digital initiatives, Hong Kong’s leading domestic bank is keen on providing a seamless experience for SMEs and other commercial clients. Hang Seng Bank Limited is proactively introducing financial technologies to its commercial banking services to ensure greater convenience, speed and choice for SMEs and other commercial customers. Amongst its newest digital initiatives is the Hang Seng Faster Payment Bank Services (“FPS”), an AI chatbot for business banking services, an online business account opening platform, and completed a pilot trade transaction for customers through a trade finance blockchain platform. All these initiatives are geared at providing a seamless digital service experience for SMEs and commercial customers. 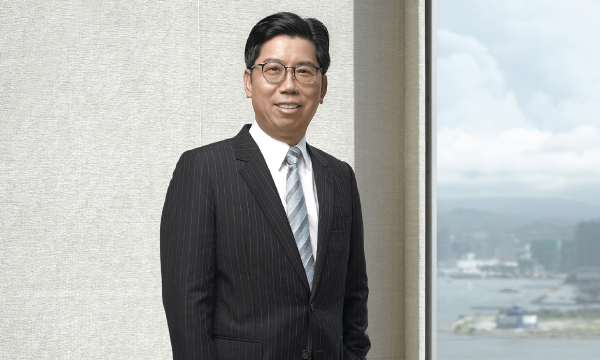 “Hang Seng is committed to providing SMEs and commercial customers with comprehensive and convenient solutions through continuous development of fintech and service channels to meet the changing business needs of our customers in a dynamic operating environment,” says Donald Lam, Head of Commercial Banking, Hang Seng Bank. “In addition to proactively introducing financial technologies to commercial banking services, Hang Seng Bank optimised its digital services constantly, including the upgrade of our Business e-Banking platform, expansion of the Business Banking mobile app, aiming to provide customers with greater convenience, speed and choice as to when and how they manage their financial needs,” he adds. In line with its digital strategy, Hang Seng Bank has completed a pilot trade transaction for two corporate customers through eTradeConnect, a trade finance blockchain platform in Hong Kong. eTradeConnect facilitates the processing and financing of trade transactions for corporate customers using Distributed Ledger Technology. The platform further enhances trade efficiency, reduces risk and improves financing accessibility through the digitisation of trade documents and the greater automation of the trade finance process. Amongst the Bank’s latest initiatives is the FPS, which enables commercial customers collect payments and pay operating expenses at a minimal cost. Using a business account, a customer can pay or receive funds almost instantly, yielding higher efficiency and flexibility in funds allocation. Through the FPS, each customer receives instant notifications of all payments by way of e-Advice or SMS. This allows customers to perform account reconciliation more easily, streamlining funds collection and other backend operations. Hang Seng has also upgraded Hang Seng Foreign Exchange Service with new features, which uses real-time rates to allow clients to make the best trading decisions. When customers buy or sell foreign currencies at Hang Seng Business e-Banking or Hang Seng HSBCnet, they can obtain real time exchange rates at the transaction page and lock the quote to capture the best trading opportunities. The Bank has also rolled out a new virtual assistant known as ‘BERI’ in June 2018. BERI uses artificial intelligence technologies, such as machine learning and natural language processing, to handle general enquiries about the Bank’s Business Banking services, including the features of deposits and integrated accounts, cash management services, and all service channels – including ATMs, Phone Banking, Business e-Banking and service outlets. BERI can also provide customers who are interested in opening an account with relevant information on the account opening process and requirements. It is able to simulate human-like contextual conversations and interact with customers. It can communicate in Chinese and English, and can also understand Cantonese as well as the mixing of English and Chinese. To further provide seamless assistance for clients, Hang Seng has also launched Live Chat, an online messaging service on hangseng.com/business that enables customers to contact customer service officers at any time and from any location with internet access. The Bank has also rolled out a commercial banking WeChat official account in July 2018, providing SME and commercial customers with a new and convenient channel for receiving updates from the Bank. “This will enable customers to receive mobile reminders from the Bank without relying on SMS, which should prove particularly useful for customers whose business frequently takes them outside Hong Kong,” Lam notes. The Bank has also launched the O2O Business Account Opening Platform in April 2018. This will enhance the efficiency of the account-opening process by allowing customers to pre-fill information and upload related documents before visiting a Business Banking Centre to complete the account-opening procedure, resulting in greater efficiency and faster transactions. Hang Seng also promotes environmentally friendly practices as one of Hong Kong’s largest listed companies. In November 2018, Hang Seng Commercial Banking launched the Hang Seng Green Financing Promotion Scheme. It encourages corporate customers to acquire environment-friendly equipment that would enhance resource efficiency and reduce pollution, protect global environment and support the sustainable development of corporate customers. This is applicable to various lending products, including General Banking Facility, SME Financing Guarantee Scheme and Business Loan. 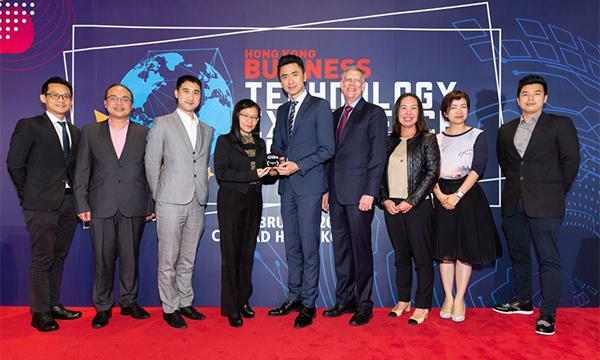 Hang Seng Bank won Best Commercial Bank at the 2018 Hong Kong Business High Flyers Awards.